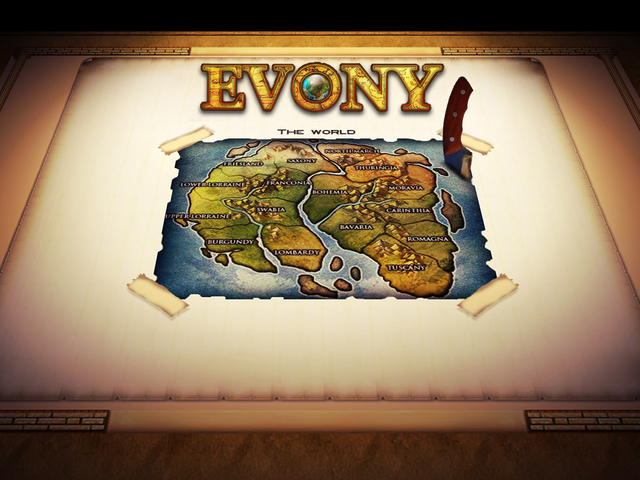 Evony is a free 2D strategy game that offers both free and paid play through a web browser. While the whole of game is available for free, a paid (Evony Game coin) option simply speeds up the gameplay and may give users a slight edge of competitors in-game. 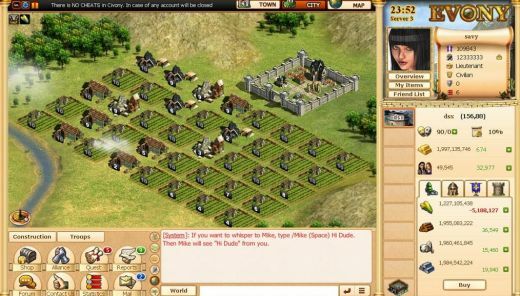 Evony is basically an online strategy game (RTS) where you are based in medieval Europe to battle it out in castle like warfare with a substantially large amount of competing online players. The key to strong foundations for a player’s city revolves around initial defense in Evony. 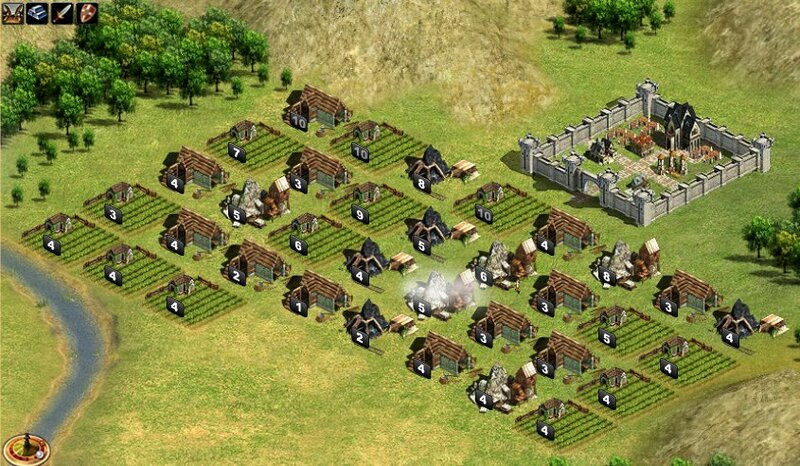 A player MUST quickly build-up their town by focusing on the most efficient defense units, to continue to build an army, the production of new food (farms) and resources materials (stone, ore), along with researching (inventing) new technologies. Establishing large scale armies quickly in Evony is absolutely crucial to on-going success and that all important early game strong footing. 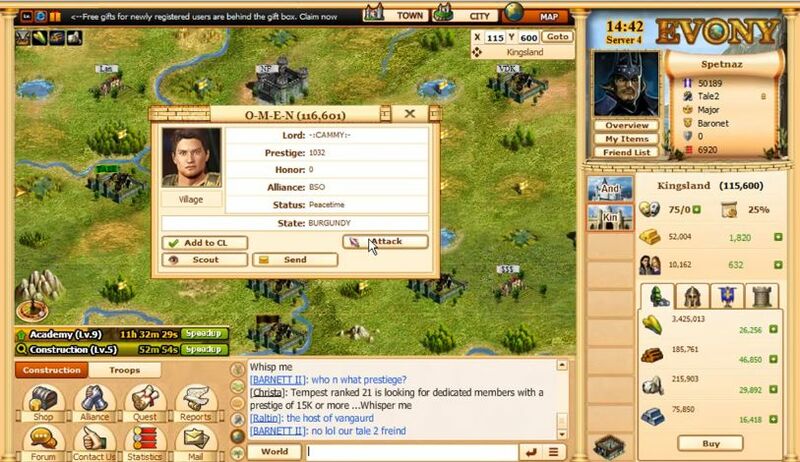 With this positive state, you have much more chance to successfully conquer your alliance enemies and Evony neighbors! Developing and sticking to smart strategies in real-time along with the help of a smart, strong and friendly Evony alliance will allow you to defeat most enemies and you should be able to climb the Evony rankings much quicker. This game is trash. it is loaded with spam and malware. Then they sell your info off and leave you no way to delete your account. STAY AWAY!!!!!!!!! I started in Age 1 and moved over to Age 2 when it started. In it’s heyday, it was good game. Then Evony got greedy, and reduced the chances of getting anything for free. They then got slack on customer support, and stopping cheating (in the last couple of years, I have known any player who raised a support ticket get a response from Evony). Now all of the top alliances mostly consist of players using bots and running several accounts (4 or more in some cases), in addition to coining substantial amounts (spending up to $50k on new servers by their own admission). If you want a genuine gaming experience, where your ability counts, you can forget Evony. Evony has very little security. Accounts are hacked via their password reset feature. Enemies buy coin for your account and then recall the funds – causing evony to ban YOUR account. Even when presented with irrefutable evidence of what occurred, Evony does NOTHING. Hackers and cheaters win. Do NOT play this game. DO NOT play this game. You will get your account and money stolen. There is no security or customer service. It is a crooked scam. Do Not waste your time or money on this. Is this game in Serbian? Sorta, but not really. Evony involves TONS of communication, so it will be hard for you to really work up, as it in primarily english. Having been an Evony player since 2008 I have lived the highs and lows of the game but I now must post a warning to active players and anyone thinking of signing up. On ss60 a player used a skype exploit to expose the IP of an individual they were attacking and then performed a Denial of Service Attack so the individual was not able to login and defend. This incident was reported through the Evony lack of support system. A response was sent indicating that they were investigating. 24 hours later the original support request was all over the skype chatrooms for the alliances on ss60. As the initial report was submitted in confidence due to the sensitive nature of the issue it has become quite obvious that elements of the Evony Support staff are passing information directly to certain players and abusing their powers possibly for individual financial gain. The real lesson here is that you cannot play Evony on Skype, you can only talk behind everyone’s back. Therefore, it should come as no surprise that subversive people do subversive things. Nous revenons d’une criosie8re avec le Costa Atlantica , c’est notre septie8me criosie8re et nous sommes toujours enchante9s !! Nous avons eu un temps superbe et avons bien profite9 de la piscine et Jacuzzi ! Nous adorons les criosie8res et nous pensons de9je0 e0 la prochaine que nous ferons avec nos enfants, compagnes, et petits enfants ! Que du bonheur !! game used to b great, but now with excessive coining and everyone using bots, game not worth playing! !